Two exciting pop-up events you HAVE to visit this month. Calling all Londoners! Two of our favourite beauty brands are launching pop-up stores this month, and you’re invited. We’ve all been that person who’s fixed up their hair and make-up on the tube which, let’s face it, is always followed by uncomfortable stares from our fellow commuters. It’s hardly our ideal ‘beauty on-the-go’ scenario. Fear not; from now and for the next three months, much-loved hair saviours Aveda are launching their first complimentary express experience where commuters and guests can ‘fix’ their hair and pick up some seasonal travel sizes. All you have to do is pass through Piccadilly Circus underground station and take a wander through the ticket hall to find your Aveda professional who can fix up your hair – whether you’re on your way to drinks after work on a Friday night or it’s a Monday morning journey to work (nobody has time for perfect locks on a Monday morning, right?). Who knew you could find hair inspo on the tube? Ever heard the phrase ‘it pays to be nice?’ Well, now you can pay with being nice. 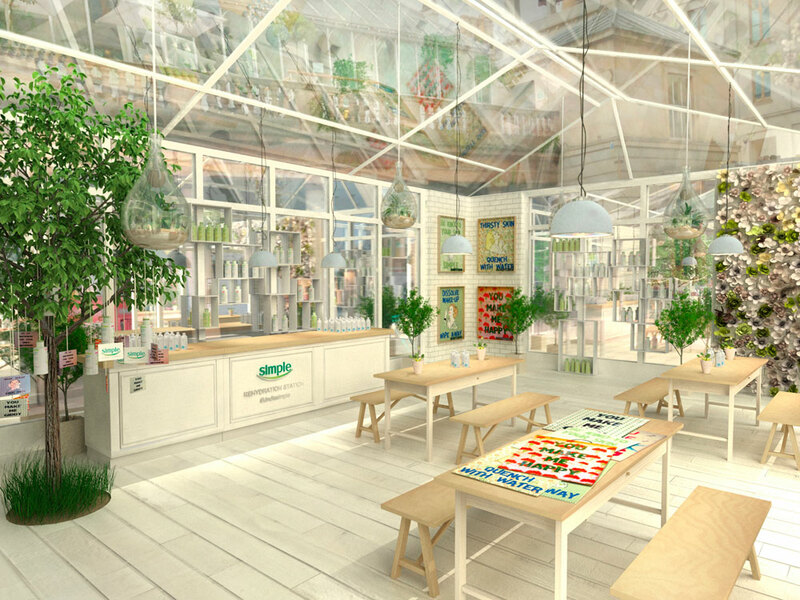 Sensitive skin experts Simple are launching their concept shop where kindness is used as currency, in exchange for Simple skincare products. ‘But how can you buy products with kindness?’ I hear you ask. Simply tweet an act of kindness whilst in store to @simpleskin alongside the hashtag #KindIsSimple and redeem one of the new Simple Kind To Skin Micellar Cleansing Waters and Kind To Skin Micellar Cleansing Wipes. Join Lisa Valencia, Dr. Philippa Lowe and Jenna Zoe (The Kind Community) on Thursday 21st May and Friday 22nd May at The East Piazza in Covent Garden to get involved.